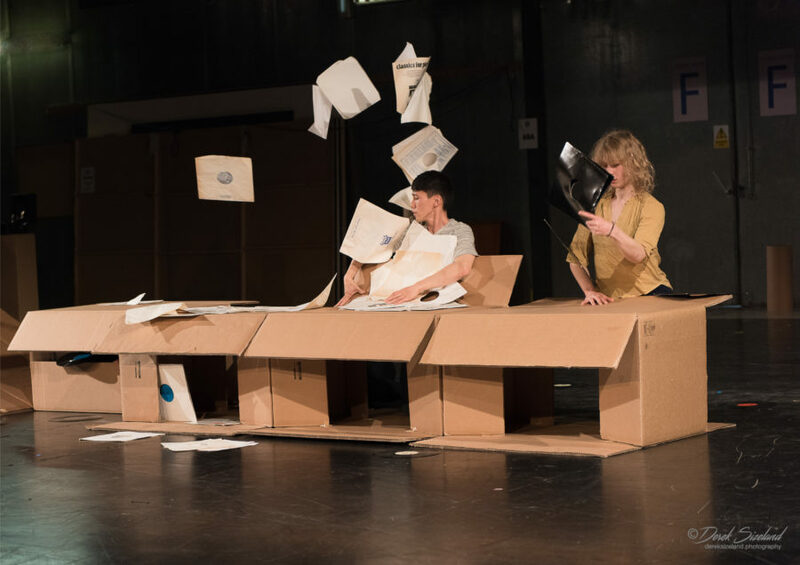 Constructions of Thin Air is a new work for the stage by Tilted Productions; mixing dance, object manipulation and powerful visual images, it provokes thoughts on our ever-changing sense of belonging. It follows in the steps of the company’s outdoor piece BELONGING(s). The piece asks questions around our notion of belonging to systems (whether political, economical, or social), nations, people, and family. Humorously absurd one moment and intimately moving the next, it exposes the often paradoxical nature of our desire and refusal to belong. 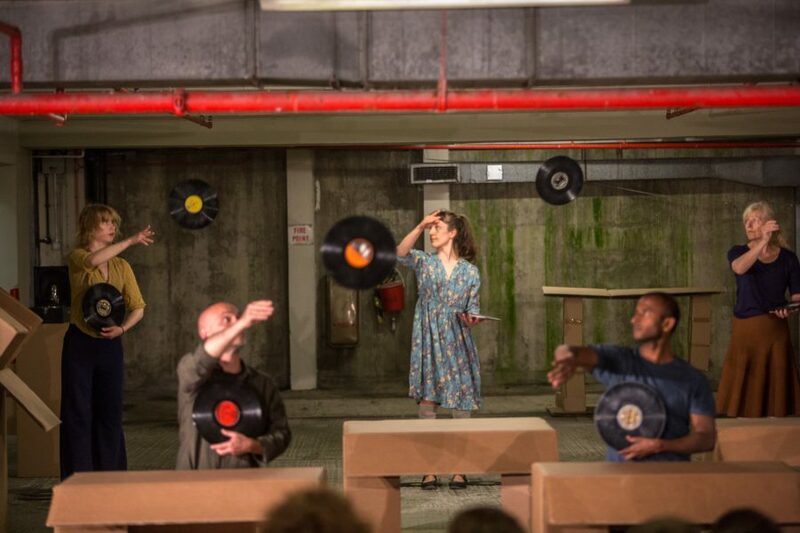 Created by Tilted’s Artistic Director Maresa von Stockert in collaboration with an intergenerational cast of 8 performers, the work combines contemporary dance, physical theatre and an integral use of objects. 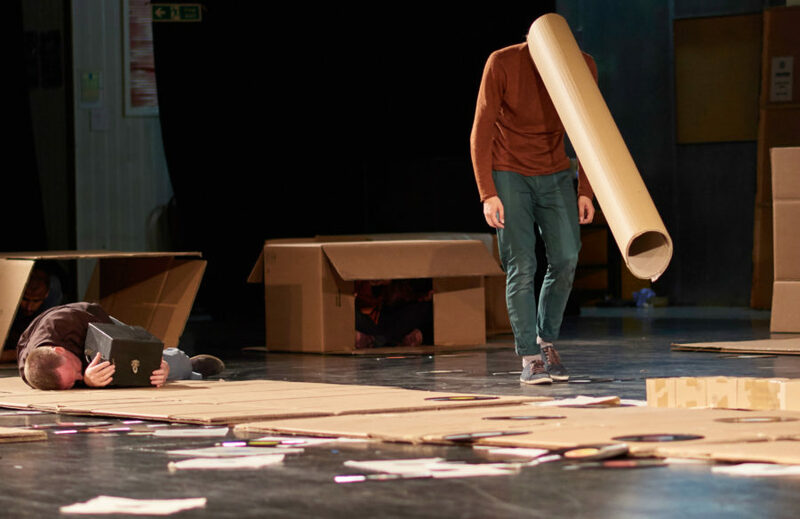 A series of wrap-around activities are available on demand and can be tailored to your needs: post-show discussion, a photo exhibition around the show or workshops with local practitioners. 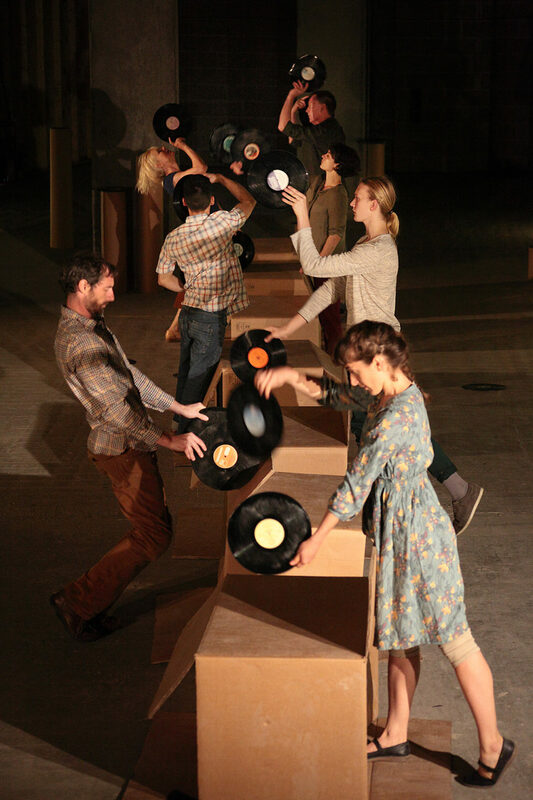 Tilted Productions creates playful and challenging cross art form collaborations merging contemporary dance, physical theatre, sound and visual art. Tilted’s Artistic Director and Crying Out Loud Associate Artist, Maresa von Stockert, creates illusionary worlds that are inspired by social, environmental and political observations and questions around our sense of place and identity. Her work re-imagines the familiar to open up different perspectives on the world we live in. It features a constantly evolving interest in the physical dialogue between human bodies – of all forms and ages – and their surroundings. Objects and places (architecture and landscapes) are integral as movement catalysts and metaphors in her pieces.